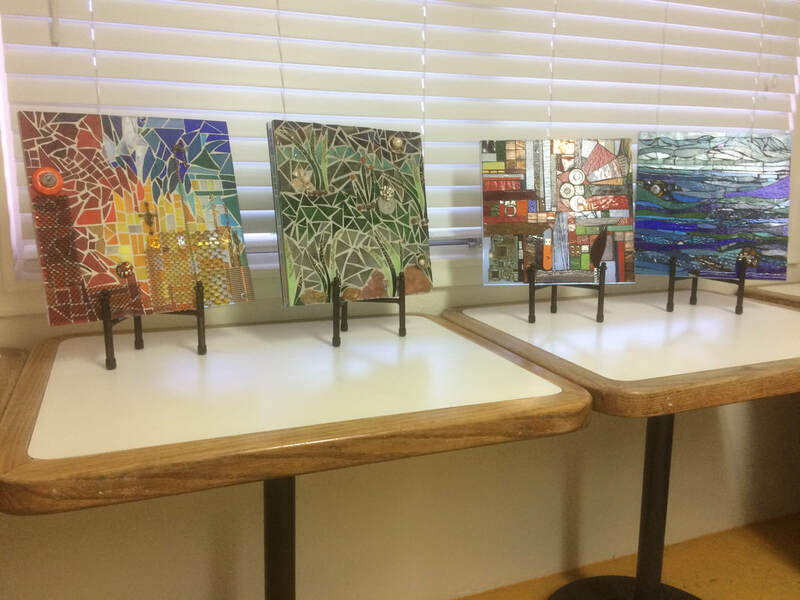 Apr 24-Jul 24: Recycled Art Exhibition, Cox Communications Private Gallery. New works made from upcycled materials. 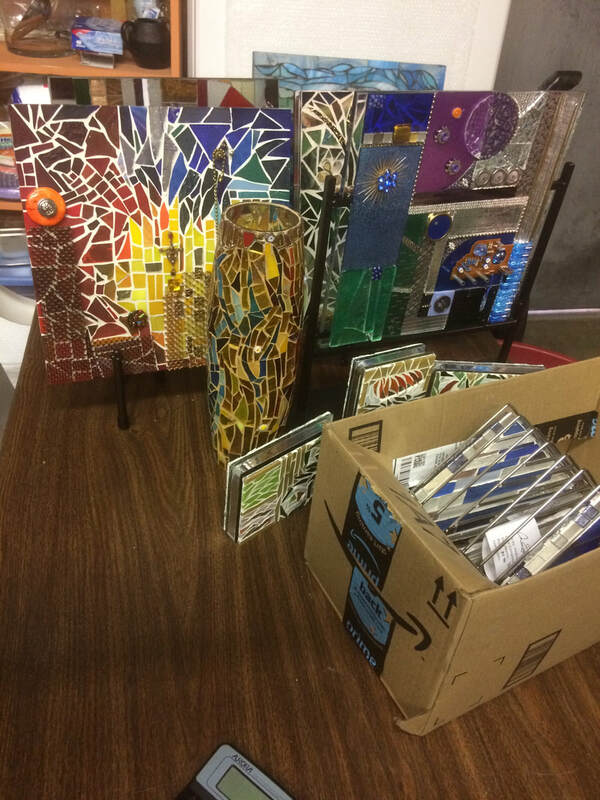 Apr 20: Mosaic Demo, Pima County Fair Old Pueblo Building "Home Arts," 1-5pm. Apr 13-14: Heart of Tucson (HoT) Artists Open Studio Tour, showing at Blue Raven Art School, Tucson, AZ. 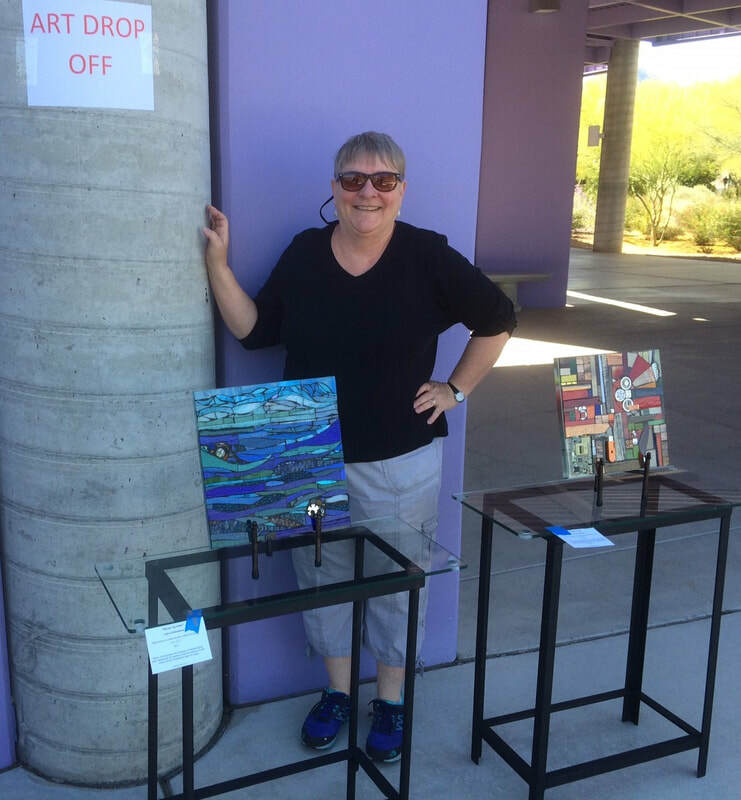 Apr 2-May 17: The Art of Recycle VI, Community Performance and Art Center, Green Valley, AZ. Reception Apr 5, 530-7pm. Jan 26-May 19: 100+ Moments in Mosaics (Title "Mineral Park Mine"), Parthenon Museum, Nashville, TN. 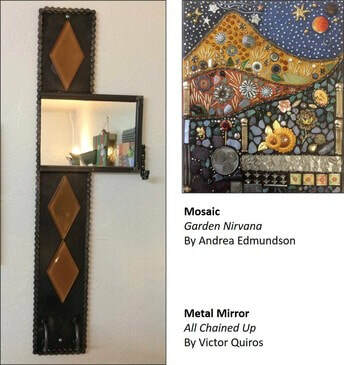 Jan 19: Mosaic Demo, La Encantada Fine Art Festival, Tucson, AZ. Jan 1 - Apr 10: Tucson Mayor's Office Gallery, 255 W Alameda, 10th Floor, Tucson, AZ. Dec 8: Holiday Artisans Market, 10 am - 4 pm, Blue Raven Art School, Tucson, AZ. Nov 1 - Apr 1: Tucson Mayor's Gallery, 255 W Alameda, 10th Floor, Tucson, AZ. Nov 1-4: The Sculpture Objects Functional Art and Design (SOFA) Fair in Chicago.​​ Title: Mineral Park Mine, Kingman, AZ. Jul 25-Oct 5: Cox Communications Private Gallery. Four new works made from upcycled materials.